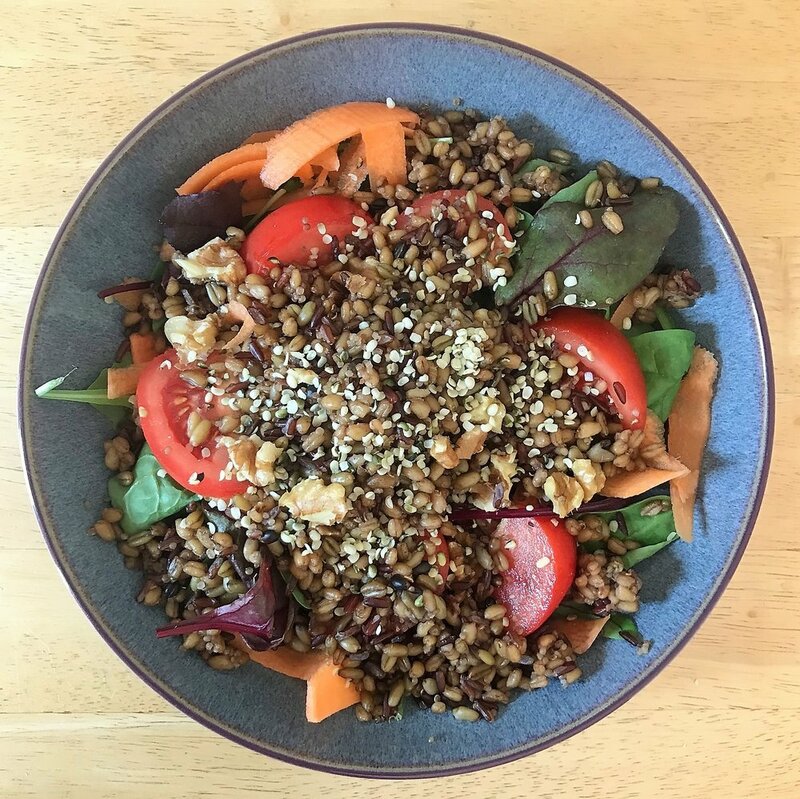 Fancy a really simple and filling salad that takes just a couple of minutes to make? I heated the grains, but you don’t have to. Just combine everything together in a bowl and you’re done! I like my salads quite simple but you could always add a squeeze of lemon juice or balsamic vinegar and any herbs and spices you like.